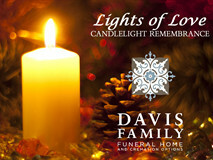 Davis Family Funeral Home is committed to our community and being an active part of ongoing and seasonal events. If you’d like to keep up-to-date, we invite you to return often to see what’s coming up on our calendar. The public is invited to attend, in addition to the families we've served. Those who RSVP by Dec. 5, will have an opportunity to include a photo of their departed loved one in the video tribute, and to receive a remembrance keepsake, compliments of the Davis Family Funeral Home. There'll be a guest speaker, special music and carols, candle-lighting ceremony, followed by a light reception. There is no cost to attend. All are welcome. Please call or email to help us plan. Two of our favorite summer traditions: painting faces and handing out treats at the Dewey picnic's Kidzone, and sponsoring the Dewey Volunteer Firefighter's Annual Raffle. We were honored to have as our guest speaker Rev. Rene Colaw, 40-year veteran minister. He spoke candidly about losing his first wife and coming to terms with his own personal grief and how it impacted how he ministers to others now. 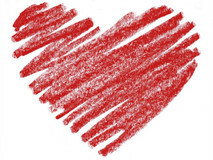 Dec. 5th : "Lights of Love" Community Remembrance Program, 7-8 p.m.
We hosted the first "Lights of Love" all-community remembrance program at our new chapel and inviting all members of the public to attend, in addition to the families we've served. A photo of their loved one was included in the special video tribute and each family received a personalized candle keepsake. The Luminary Service is a time of reflection, to honor and remember those who are no longer here and to recognize the presence that they still have in people’s lives. Davis Family Funeral Home was privileged to be a part of the service by providing hot chocolate, coffee and cookies to the attendees. - Speaker: Rev. Jim Anderson, pastor of the Word of Truth Fellowship, a Bartlesville church that had its beginning in 2001. Oct. 31st : Dewey Annual "Trunk or Treat"
This was our THIRD year to dress up (1920s costumes again!) and hand out candy treats to 'lil zombies, fairies and other imaginative kids (and grownups) on downtown Don Tyler. For our second year, Davis Family Funeral Home will be an event sponsor, as well as help coordinate the kids' fun activities. Our extended family and friends will be on hand, to give out free balloons, temporary tattoos and stickers. Carter also will be volunteering at the Dewey Lions food stand fundraiser. ... UPDATE: Congratulations to Wanda who received a free ticket to the Dewey Firefighters' raffle, compliments of Davis Family Funeral Home, and won the top prize of a BBQ grill and patio set! We're thrilled and hope your whole family enjoys it! Another great opportunity to meet-and-greet people and talk to them about our 2013 monument specials and affordable services. We also had a prize drawing to thank those who stopped by! This was our second year to dress up (1920s costumes) and hand out lots and lots of candy treats to 'lil monsters, princesses and many more imaginative kids on downtown Don Tyler. Carter Davis and family members were on hand to meet and greet people at the mall, answer questions on their minds, and provide educational brochures. We also had a drawing for $50 VISA gift card. We handed out old-time candy and American stickers at the 8th Annual Western Heritage Days in downtown Dewey. Davis Family Funeral Home was an event sponsor, as well as did a fun activity table for kids' temporary tattoos and stickers. In addition, Carter volunteered at the Dewey Lions food stand fundraiser. We are a proud supporter of the Dewey volunteer firefighters and gave away free raffle tickets to anyone who visited our funeral home during this period. The annual raffle's top prize was a John Deere riding lawn mower, plus other great prizes. Davis Family Funeral Home serves families in Osage, Washington and Nowata counties, so we decided to showcase our 2012 specials and monument services at the Barnsdall Ethel Reece cemetery. Carter Davis and his wife Jacqueline met hundreds of people and talked to dozens about our 2012 Monument Sale and services. It was the first time many had heard of our new funeral home. We also had a drawing for $50 VISA gift card. Carter Davis and his wife Jacqueline both volunteered and attended the annual memorial service at White Rose Cemetery. Oct. 31 Dewey Annual "Trunk or Treat"
Our first year to help hand out candy treats to costumed kids, teens, and adults. 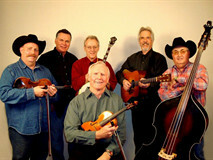 Davis Family Funeral Home gave away free concert tickets to veterans, active military and emeregency responders and their families to the Sept. 11 concert by Grammy-nominated, fiddle champion Byron Berline and his band of award-winning musician-friends. This was in partnership with the Bartlesville Community Concert Association which brings high quality, family-friendly performers to the Bartlesville area.